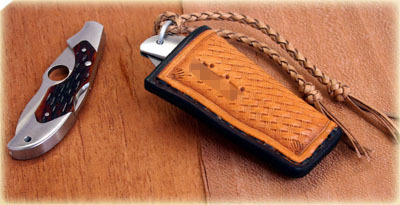 A while back the eponymous Java had given the legendary Samo a wedding gift Kiwi complete with custom sheath. 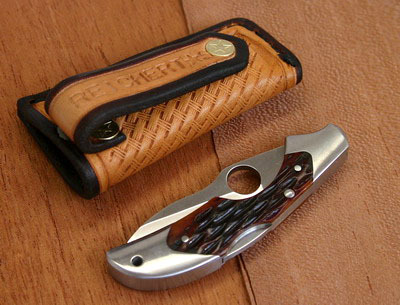 I really liked the idea of a western-style leather sheath for such a small (clipless) gentlemen’s knife. So I contacted Justin Reichert to fix me up. He got the sheath done very quickly and the nice part is it fits the bone and SS Kiwis well (although somewhat looser on the SS kiwi). The design has an historic look, right down to the five-point star rivet, and is about as non-tactical as you can get which fits with the kiwi nicely. 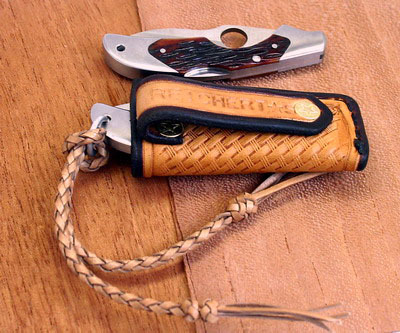 The sheath has a belt-loop, but it’s small enough that I often carry it loose in a pocket so the Kiwi doesn’t get scratched. 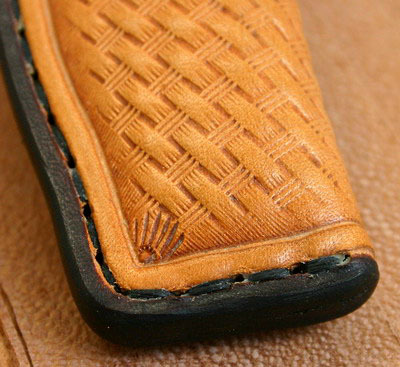 The detail work is impressive, and you can see why Justin won the Spirit of Steel best sheath award recently. The package is rounded out nicely with a leather lanyard and bail, perfect fit for the kiwi.